Mumbai: The recent call for educational institutions to be committed to excellence has created multiple discussions about the objectivity of superior quality education. 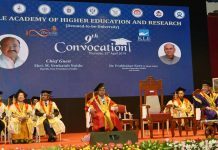 What are the key parameters in higher education that distinguish education institutions and how it can be measured are some common topics of conversations doing the rounds in the academic circles. S.P. Mandali’s Prin. 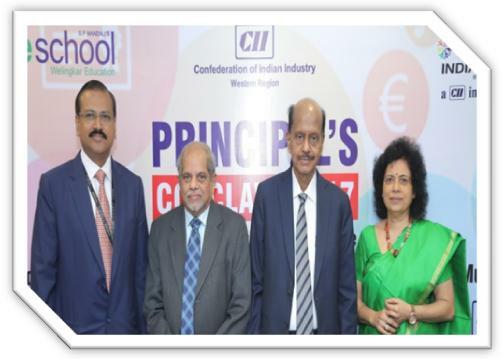 L. N. Welingkar Institute of Management Development and Research (WeSchool) in association with CII – Western Region, recently hosted ‘Principal’s Conclave’ 2017, the theme being ‘Building Institutions of Excellence’ at its Mumbai campus. The conclave was attended by Deans, Vice-Principals and Directors from over forty educational institutions and colleges across Mumbai who took a retrospective approach to understand and highlight the areas of improvement for new age students. The conclave saw participation of eminent persons from industry and academia such as Mr. Ashank Desai, Founder, Mastek; Mr. Rohitash Gupta, CFO, eClerx; Mr. Vaibhav Srivastava, Education Vertical Leader, CISCO; Dr. Shobhana Vasudevan, Principal, R.A. Podar College of Commerce and Ms. Rani Desai, Chief People Officer, Deloitte. “In the journey of institutional excellence; defining, attracting and nurturing stakeholders that involve students, faculty and long-term sustainable relationships with the alumni are of utmost significance. Focus on academics, management, strategy and a visionary perspective could add many path breaking changes in the education system”, said Mr. Ashank Desai, Founder, Mastek while delivering his inaugural address at the conclave. first session on ‘Confluence of Talent, Resources and Governance’ took a refreshing look on how to imbibe and implement the strong pillars of talent, resources and governance required to build world-class institutions. The panellist-audience dialogue brought to light the principle role of academia in bridging the gap between corporates and academics. The second session on ‘Best Practices and Next Practices – Learn, Work and Lead’ opened dialogues on new concepts, ideas and next practices. Contemporary views on classroom teaching, online learning, blended learning, use of CII platform for industry collaboration and optimising role of IT platforms were noted as resourceful for education in digital era. Dr. C R Chavan, Director, Jamnalal Bajaj Institute of Management; Mr. Hanuman Tripathi seasoned entrepreneur and Kevin John, GM Strategic Alliances, Rustomjee Academy for Global Careers (RAGC) were the panelists for this session. Academicians and corporates exchanged their thoughts on the role of stakeholders and relevance of curriculum. Digitised education was another topic with many inputs from senior leadership with faculty specifically emphasising the role of multi-media for teaching students in city and rural classrooms. Some key takeaways that emerged from these discussions include training the trainer, nurturing relationship with alumni and staying connected with the regulatory bodies. It also emphasised the fact that education does not happen in the confines of the classroom but happens in the market place. An individual progresses while resolving problems of society. Education gains meaning when it is used for the larger cause of nation building.